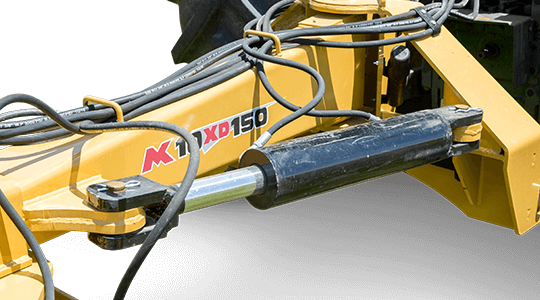 The Extreme Duty Grader Blade from MK Martin mounts to your tractors 3-point hitch. 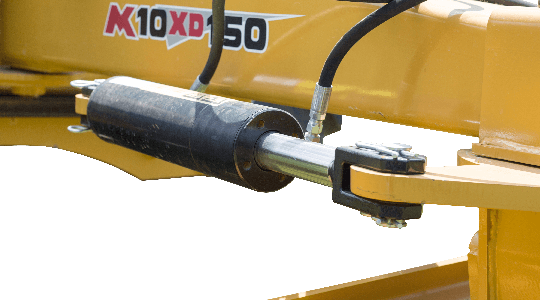 Powered by your tractors hydraulics the XD series blade has hydraulic cylinders to adjust the offset of the arm, the blade angle, and the tilt of the blade. 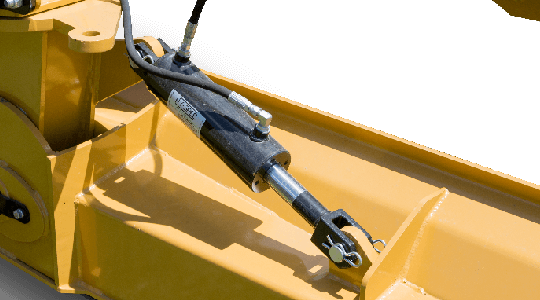 An additional hydraulic cylinder on the optional wheel kit helps to control the depth. 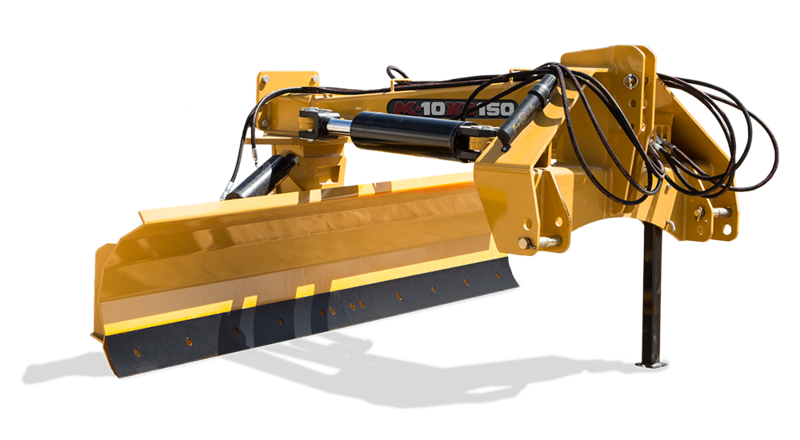 The Extreme Duty grader blade is available in 8', 9' and 10' models for tractors with a rated horsepower of 100 and 150 HP. 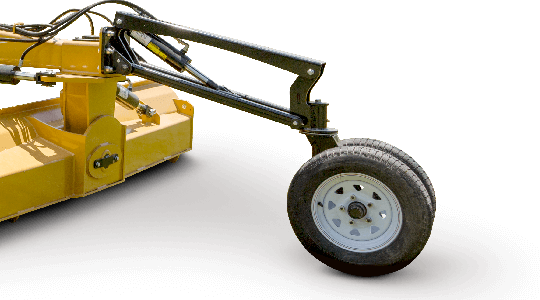 Mouldboard Width 96" 108" 108" 120"
King Pin 3-1/2" 3-1/2" 4" 4"
Angling the XD Grader Blade allows you to direct the material off the path, or feed the material directly into your path to level out high and low areas. Easily tilt your XD grader blade allowing for better drainage on your path, or flatten out an angled path. The hydraulic offset offsets the XD Grader Blade from your tractor, while retaining the current angle and tilt. The optional dual gauge wheel kit provides more stability as you tilt, offset, and angle the XD Grader Blade giving you more control over the flow of material. The hydraulic cylinder raises and lowers the wheel giving you even more control over the finished product.